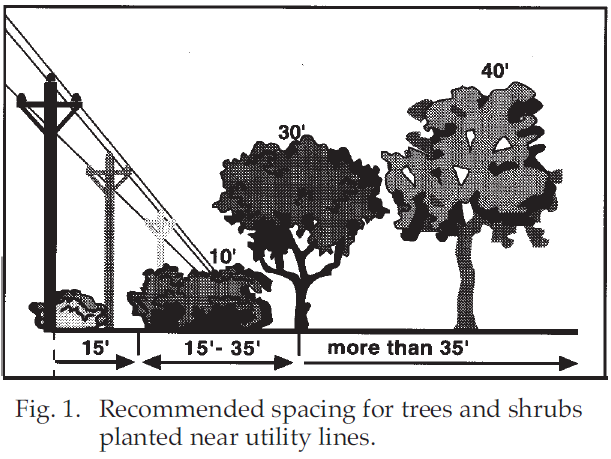 Figure 1 illustrates the minimum distances for planting trees and shrubs near overhead lines based upon the mature heights of the plants. 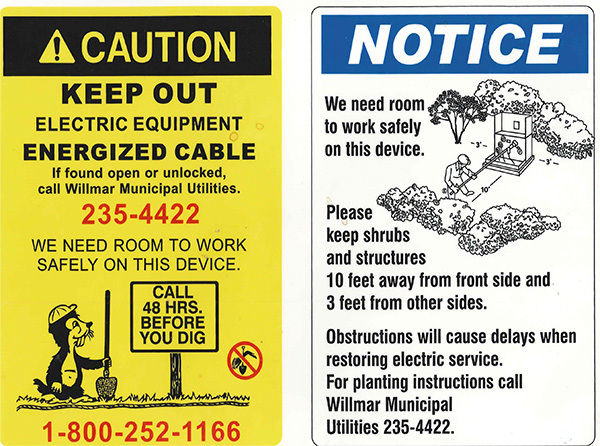 Willmar Municipal Utilities recommends a minimum of 35 feet from overhead power lines and additionally a recommendation of a minimum of 3 feet from transformer pads. If you are unsure of where to plant, give us a call and our crew would be happy to help determine the best location. Utility companies spend millions of dollars annually maintaining or removing hazardous or potentially hazardous trees and shrubs. Trees touching power lines conduct electricity, which may cause power interruptions and increase the risk of shock or electrocution to people touching the plants. Also, broken branches, tops, and windblown trees frequently damaged utility lines, causing hazardous situations and loss of service. The problems of planting trees or shrubs near utilities are not restricted to overhead lines. Roots can damage sewer systems and other underground utility lines. Trees or shrubs planted too close to meters, transformers, and other utility units increase the risk of human injury and may cause damage to property and utilities. Keep in mind, that even though shorter trees or shrubs planted under power lines do not directly interfere with power lines, they can create problems for maintenance crews by interfering with equipment movement, placement and maintenance.